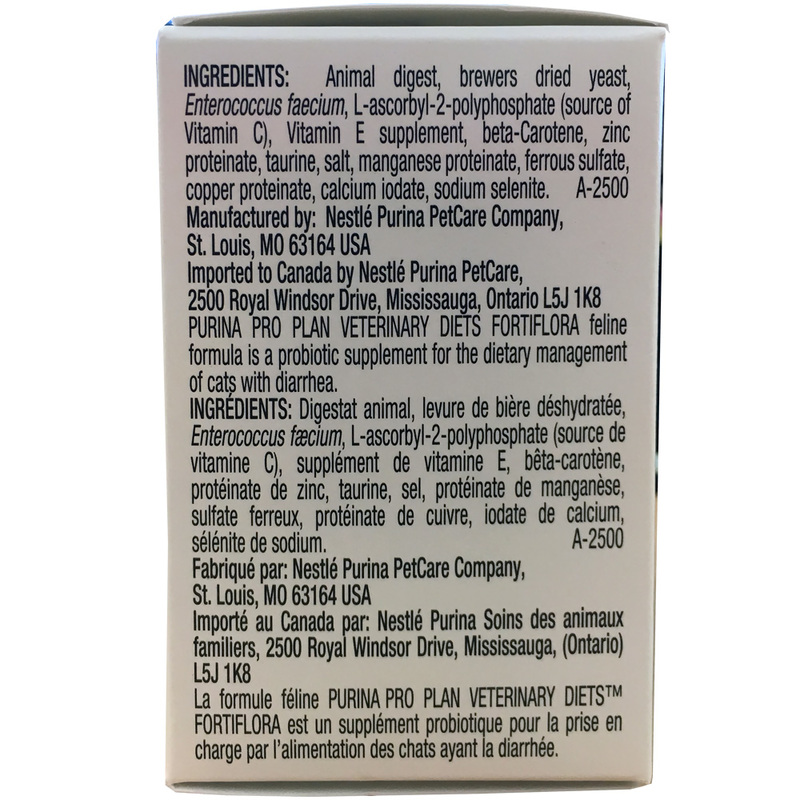 FortiFlora Feline is a specially formulated probiotic solution developed by Purina to help cats suffering from digestive trouble. 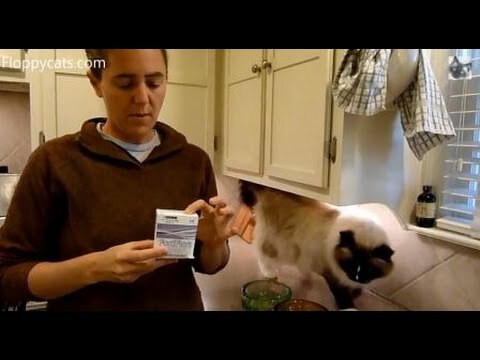 Just like people, cats can have digestion trouble that leads to upset stomachs, diarrhea, and abnormal stools. 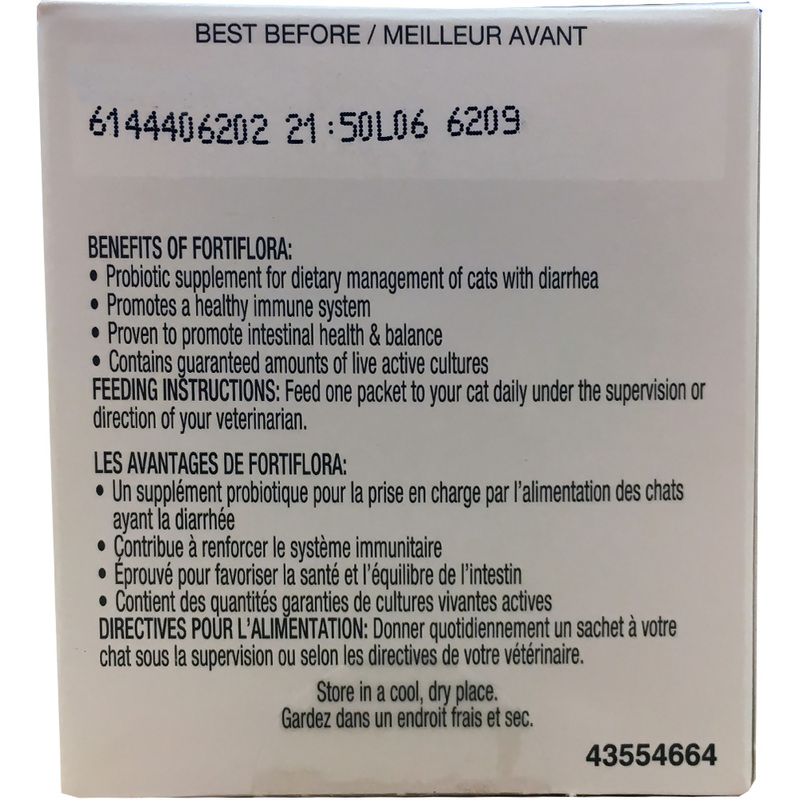 By taking FortiFlora regularly, this digestive supplement can restore your cat's intestinal health and balance and improve the functioning of their digestive system. 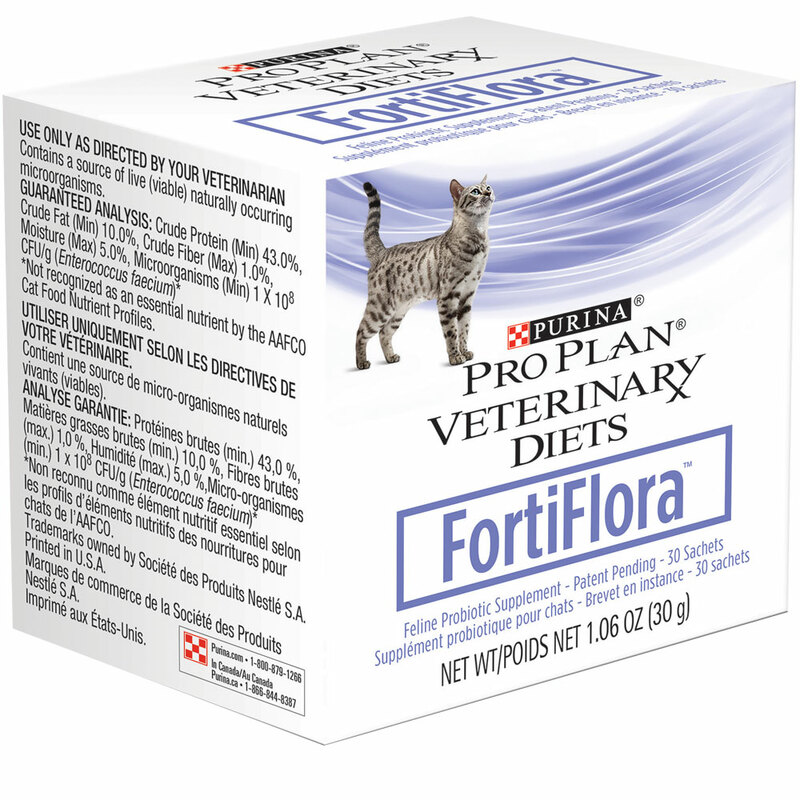 The great thing about ForiFlora for cats is that it's easy to administer: all you have to do is mix it into your kitty's food for it to take effect. 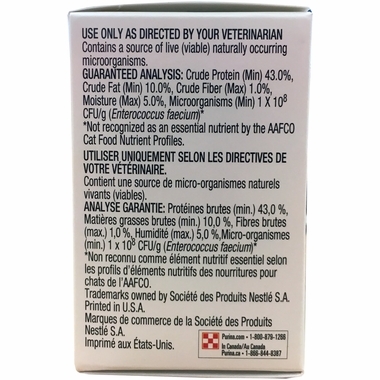 The main ingredient of ForiFlora Feline is a probiotic compound called Enterococcus. This special probiotic serves the function of restoring the microflora balance in your cat's intestines, leading to better functioning of the bowels. 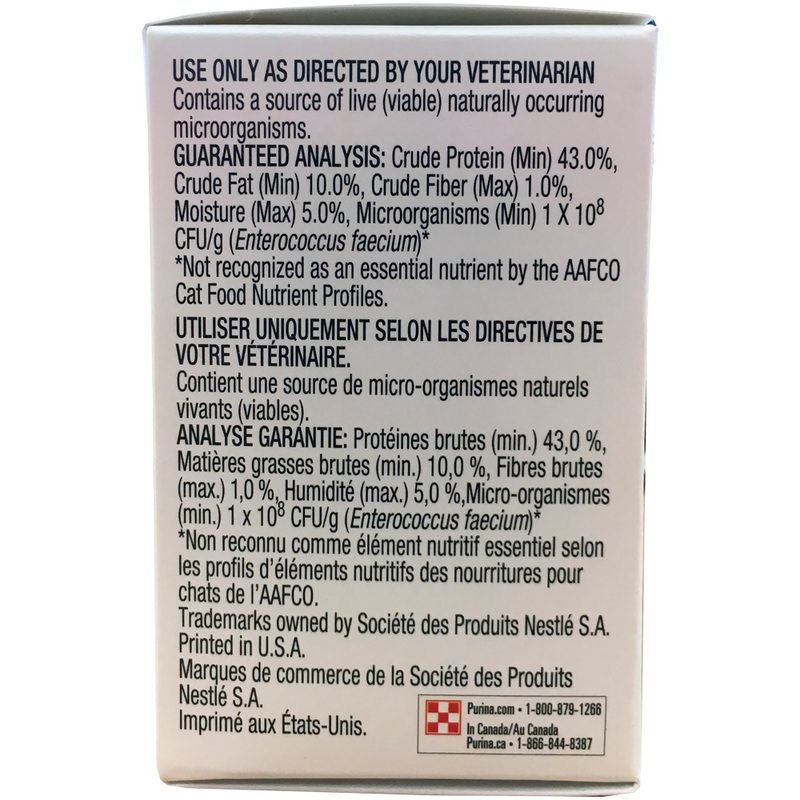 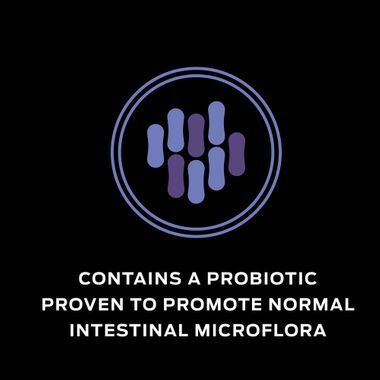 The probiotic is also supplemented by nutritional additives such as protein, vitamins, and minerals to improve your pet's overall health. 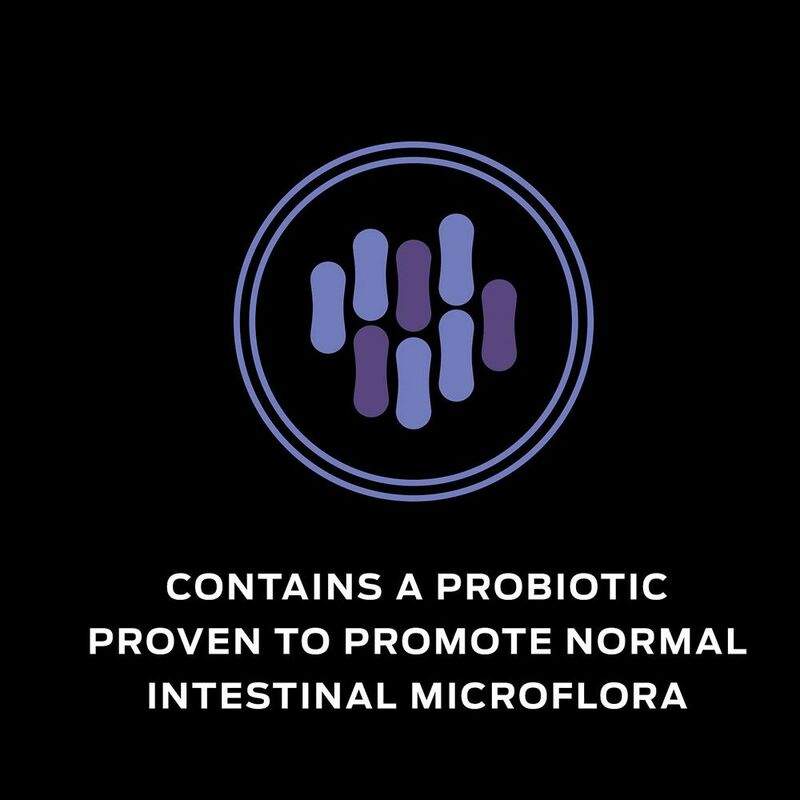 Besides helping with digestive issues, Fotiflora can also help relieve stress, improve digestition after acute enteritis, restore apetite, and serve as an antibiotic therapy, strengthening the immune system. 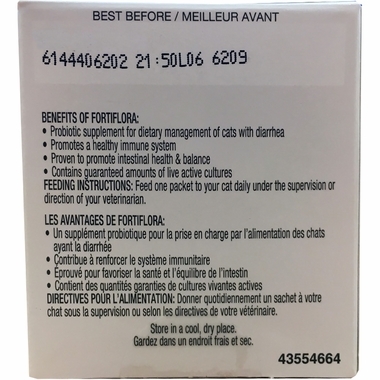 Each box of FortiFlora Feline contains 30 packets, which is enough for 30 servings.